The Busan International Film Festival (BIFF) continues to receive support from various film personalities and Film Festivals around the world. 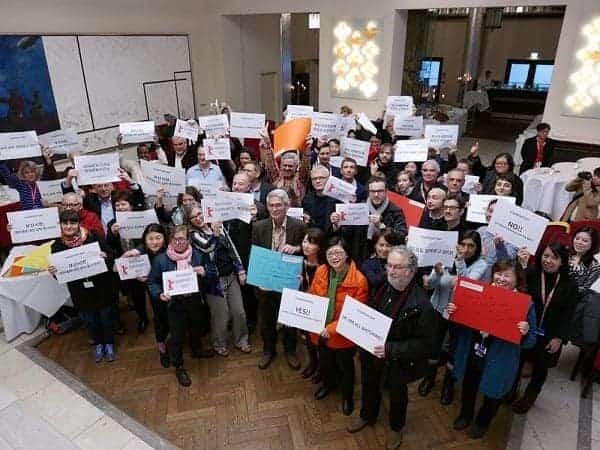 Last week (Feb. 14th) at the 66th Berlin International Film Festival (Berlinale) there was a special event held called “#ISupportBIff in Berlin”. 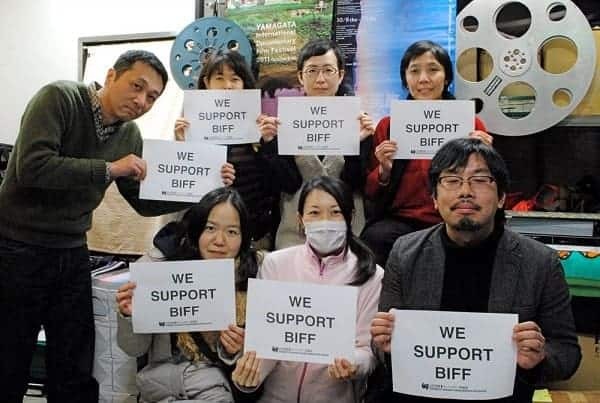 There 150 cineastes show their support to the BIFF. The gathering included people from the major film festivals such as Jeonju International Film Festival, Bucheon International Fantastic Film Festival, Seoul International Women’s Film Festival and Busan International Film Festival, which inform the audience about the current state of the BIFF. and Sabrina Baracetti (Festival President of Udine Far East Film Festival). On February 10th the Festival International des Cinemas d’Asie de Vesoul (France) show their support at the Closing Ceremony. Jonas Holmberg (Director of Göteborg International Film Festival) mention that the “Busan International Film Festival has been oppressed by the Government after screening The Truth Shall Not Sink With Sewol which is a film about Sewol Ferry Disaster. 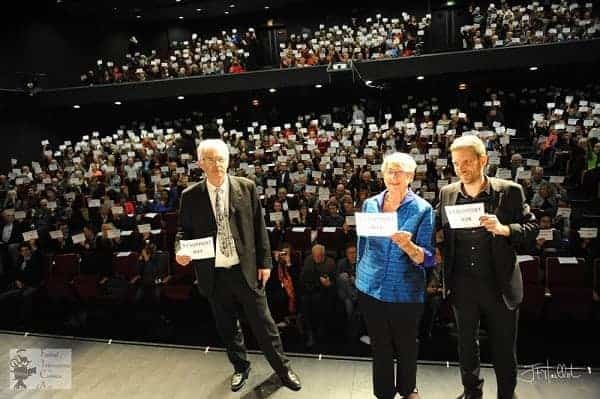 Göteborg International Film Festival and every filmmaker around the world won’t allow this oppression.” Also the organizers of the Yamagata International Documentary Film Festival also sent a message of support. “It was with great concern and dismay that I received the news that the Busan International Film Festival – and in particular yourself in your capacity as Director of the BIFF – have been subject to sustained political pressure and that your work is seriously jeopardized. The cuts in financing from the Korean Film Council threaten the existence of the festival, which, thanks to the extraordinarily high quality of its program, professional organization, hospitality, and national and international networking, is unique. The BIFF is the most important film festival in Korea and Asia as a whole. This level of professionalism and aesthetic relevance can only be achieved when a festival enjoys the artistic and political freedom to make the decisions as it sees fit, independent of state censorship and political pressure. From the very beginning, you as co-founder, mentor, and face of the festival, have been centrally responsible for the high standing which the festival enjoys and have acted accordingly: In 2014 you included The Truth Shall not Sink with Sewol in the BIFF program, a critical documentary film about the ferry disaster off Jeju Island which cost over 300 lives. Despite political pressure on the part of the Busan City Government to remove the film from the program, you refused – even when you were called on to resign your office. This bears witness to your great personal and political integrity. Haus der Kulturen der Welt and the Busan International Film Festival have been closely connected for a number of years, successfully and fruitfully collaborating on a number of projects including the festival Korean Cinema Today, which since 2012 has presented the best of Korean film in Berlin.